Stouty Stewy Stew with a bit of Moooo! 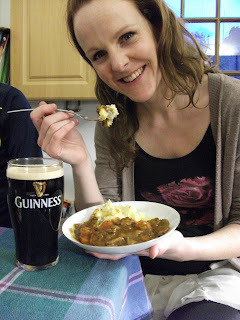 March 17, 2011 by Aoife in "Beef and guinness stew", "Danny Boy", "Lá fhéile Pádraig", "St.Patricks Day", "beef stew", "celery", "guinness", "mushrooms"
Twas said of the old Irish tenement dwellers that ''they lived for the pints...it was their food''. Indeed here we can pay homage to the old days and thank god that we can both sup it and stir it into a stew. As a nation we don't have many national dishes, although I know plenty of people 'into' food, we're not generally speaking a nation of 'foodies'. This became very apparent to me when I became close friends with an Italian and began frequenting the country of Italy. Indeed if you're really 'into' food in Ireland some people view you as a kind of food snob -which is a rather unfortunate state of affairs! As Guinness is a national drink, this is by default a national dish! It is a delicious, slow cooked stew, with malty undertones and to be sure to be sure 'tis perfect for the day that's in it. 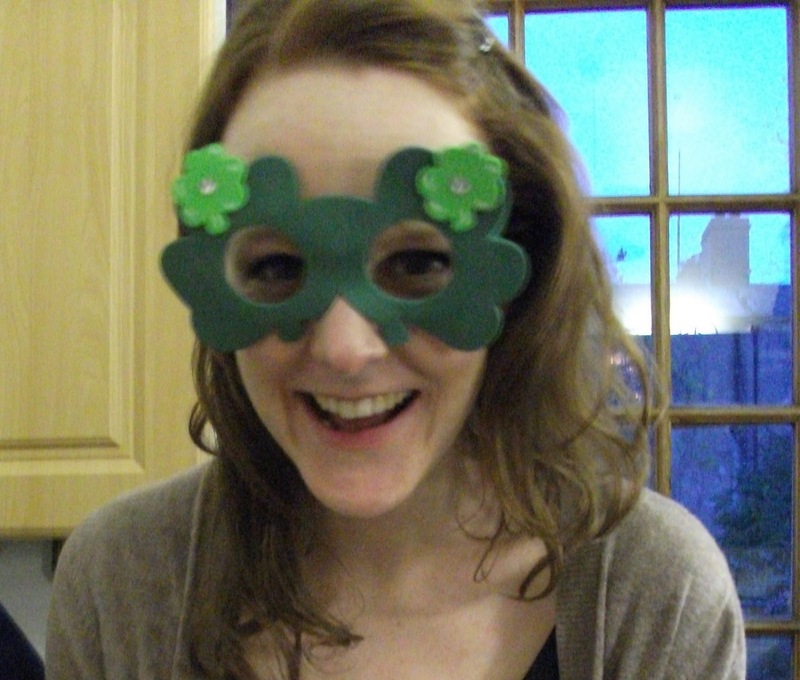 Lá fhéile Pádraig! http://www.youtube.com/watch?v=OCbuRA_D3KU The muppets sing Danny Boy...or at least try! cook for 2/3 mins - add 1 tin of tomatoes slowly but stirring quickly! serve with mashed spud and some extra greens if you fancy...maybe steamed shamrock perhaps!! "Beef and guinness stew", "Danny Boy", "Lá fhéile Pádraig", "St.Patricks Day", "beef stew", "celery", "guinness", "mushrooms"